If one reads a lot of Catholic literature from the late sixties and throughout the seventies and eighties, one encounters a peculiar smugness in the authors, a self-satisfaction at the success of what they could easily have dubbed their own “Glorious Revolution.” They believe that they have sung a new Church into being, just like that, built on the ruins of centuries of fortress-mentality Counter-Reformation Catholicism, now safely leveled to the dust. But as the years roll on, and especially with the unexpected advent of Benedict XVI, a new note begins to be sounded in the magazines, journals, and newspapers of the regnant party — a note of anxiety about the increasingly undeniable fact that there is now an alternative to the prevailing paradigm. There is, surprisingly, competition in the open market. Suddenly one hears the former partisans of diversity and experimentation thunderously condemning the presence of the Other, because it simply does not belong. Alterity is all fine and good until it is really significant alterity. Then it has to be melted down and poured into the popsicle tray of institutional uniformity. The promoters of diversity suddenly sound like those who support a “free market” as long as it favors big government and big corporations. Wherever it springs up, the traditional Roman Rite attracts God-thirsting souls, and Catholic culture starts to spring up again alongside of it, or rather, within it and from it. Yet in many places, this new opening to grace is not tolerated by the establishment. The fallacy of a petitio principii rears its head: “Because people aren’t interested, and no one will come, therefore we won’t make it available.” This is a desperate maneuver of one who is afraid of something — afraid, perhaps, that what was sacred and great for past generations of Catholics might be found to be sacred and great by Catholics today who never knew it before. One would think churchmen would and should do anything that promised to win souls for Christ, including the strange experiment of Tradition. Salus animarum suprema lex. When an institution is bleeding its members, when a local church is facing a catastrophic collapse in sacramental practice, one would expect its leaders to attempt even desperate and unlikely expedients, such as the revival of traditional Catholic practice. The passage of time has taught us, alas, that there are some, including far too many high-ranking clerics, who would rather lose Catholics than give up the aggiornamento. An empty church is at least a church with no Latin Mass, and empty pews will at least have no large homeschooling families that study Latin, wear veils, and give the Church vocations. Potential disaster averted. A sign of contradiction and a thorn in the side: this is the vocation of the traditionalist in the Church of today. 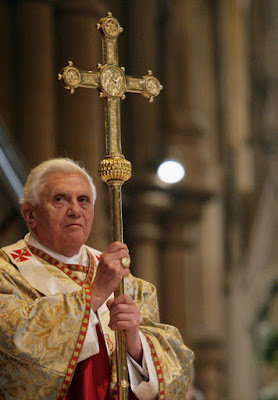 Maybe someday it will be different, and the traditionalist can once more be the Catholic, without an uncomfortable distinctiveness, without the duty of criticism and opposition. After all, for long stretches of Church history, every believing Catholic was ipso facto a traditionalist. There was not a perilous choice between being a Catholic in obvious communion with all of one’s forebears and being a Catholic who is aggiornamentoed and avant-garde. Summorum Pontificum has been insightfully described as the single greatest proof — and guarantee — of the hermeneutic of continuity. Perhaps it may prove, in the long run, to be the only incontrovertible evidence of continuity. How do we know that the Church of today is the same as the Church of yesterday and of every age? Because she celebrates the same liturgy, one characterized by slow development under the influence of the Holy Spirit. This is the very badge and banner of Catholicity.